New Wave Domesticity: Arrested Development Party : Bluth's Cornballs with Spicy Remoulade Sauce! Arrested Development Party : Bluth's Cornballs with Spicy Remoulade Sauce! The waiting is over! I've been looking forward to the new episodes for over a year! Just for a bit of nerdy fun, my friend Heather invited me over to celebrate the new season debut with a party! Some people celebrate the Super Bowl with parties and by making little football shaped cheese dips...I, on the other hand, celebrate TV shows with parties and by making corny (ha! get it?!) food references to the show - I'm ok with that! My party host was vegan, so of course I wanted to make this recipe vegan. 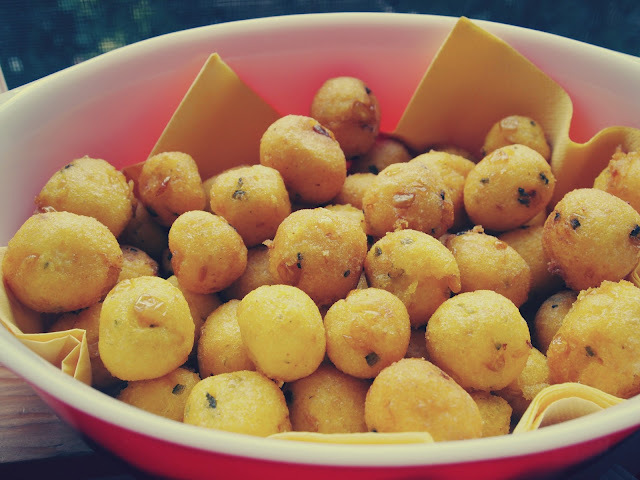 The cornballs are based on the idea of a fried polenta and they are really versatile, so you can add some different flavors and spices to the mix or you could also try it with different sauces. I think 1/2 cup or so of cheese would be an amazing addition - goat, cheddar, or queso would be lovely. Start by roasting your jalapeños to give them a more mild flavor. Set your oven broiler to high and lay your jalapeno on a baking sheet. Broil for about 5-10 minutes until the skin is bubbling and blackened. You could also heat them on the grill or over a gas burner. Let them cool, remove the skin, mince, and set aside. 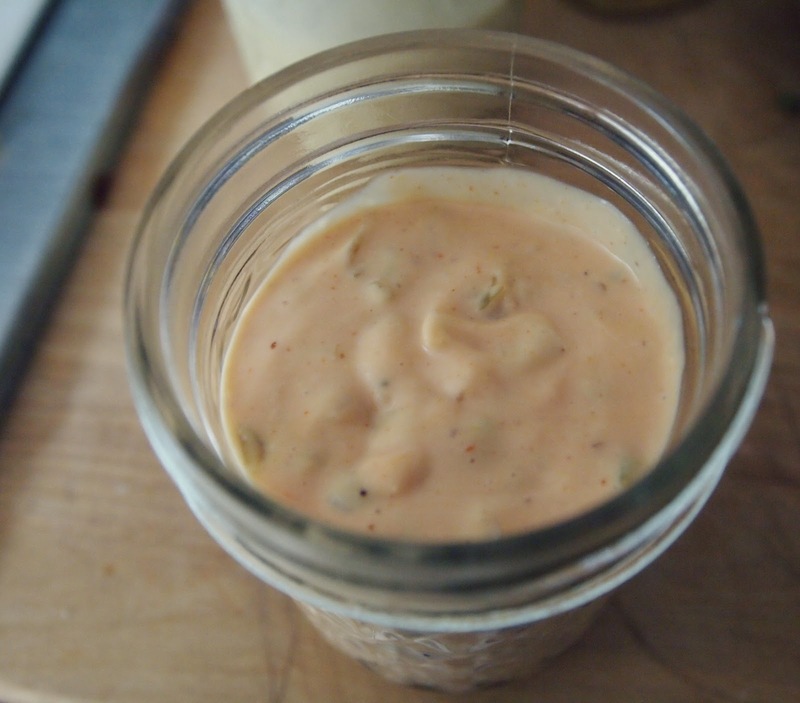 Combine water, creamed corn, jalapenos, sugar, butter, salt, & hot sauce in a saucepan. Bring to a boil. Whisk in corn meal and cook for 2-3 minutes. Remove from heat, allow to cool before rolling into 1" balls. Work in small batches (no more than 5 at a time) and fry for about 3-5 minutes until golden brown. Drain on paper towels & serve immediately. 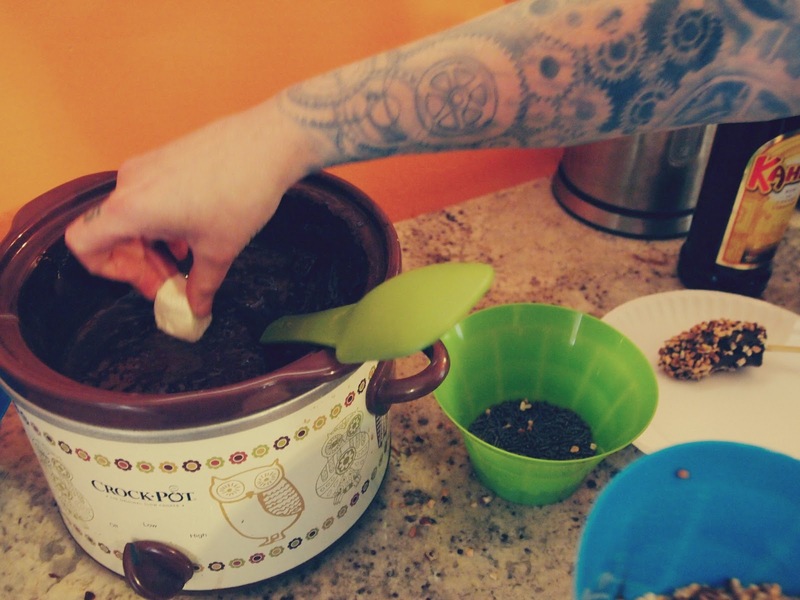 Give all your ingredients a mix and chill for at least an hour before serving. Heather also set up a really cute DIY frozen banana making station for dessert with molten chocolate, nuts, and sprinkles for dessert! It was perfect! I'm here via: swap bot Gain exposure to your blog 2! Oh my GOSH! I just started watching Arrested Development :) I love that show. Love this post, so much fun.